The event will be held at the Highland Country Club in Ft. Thomas, KY and is scheduled for October 6th 2018. ​To become a sponsor, or to donate items/services to our silent auction, please fill out the attached form and return no later than August 10th, 2018. Organization name/logo on advertising and printed materials related to event. Recognition in all event media releases and advertisement. Continual publicity during the event via a PowerPoint slide presentation. Organization name/logo on Lucky Tales website, Facebook, and Instagram. Continual publicity during the event itself via a PowerPoint slide presentation. ​During the event your name will be displayed via a powerPoint slide presentation. 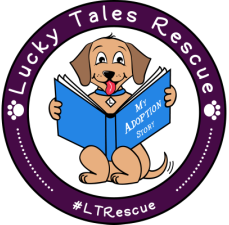 SPECIAL NOTE: THE LUCKY TALES RESCUE COMMITTEE RESERVES THE RIGHT TO EXCLUDE ANY VENDOR WHO DOES NOT ADHERE TO THE WOOF AND WIGGLE FEST 2018 RULES AND REGULATIONS, OF WHICH THE COMMITTEE FINDS INAPPROPRIATE TO THE SPIRIT OF THE FEST. I HAVE READ AND AGREE TO ALL RULES AND REGULATIONS ON THIS CONTRACT AND THE ATTACHED PAGES.